How Many Seed Beads Will I Need? Estimating the number of beads you need for a beadwork or jewelry making project doesn't need to be a shot in the dark. There are several ways to go about getting an estimate that can assure you have enough beads on hand to complete your project. 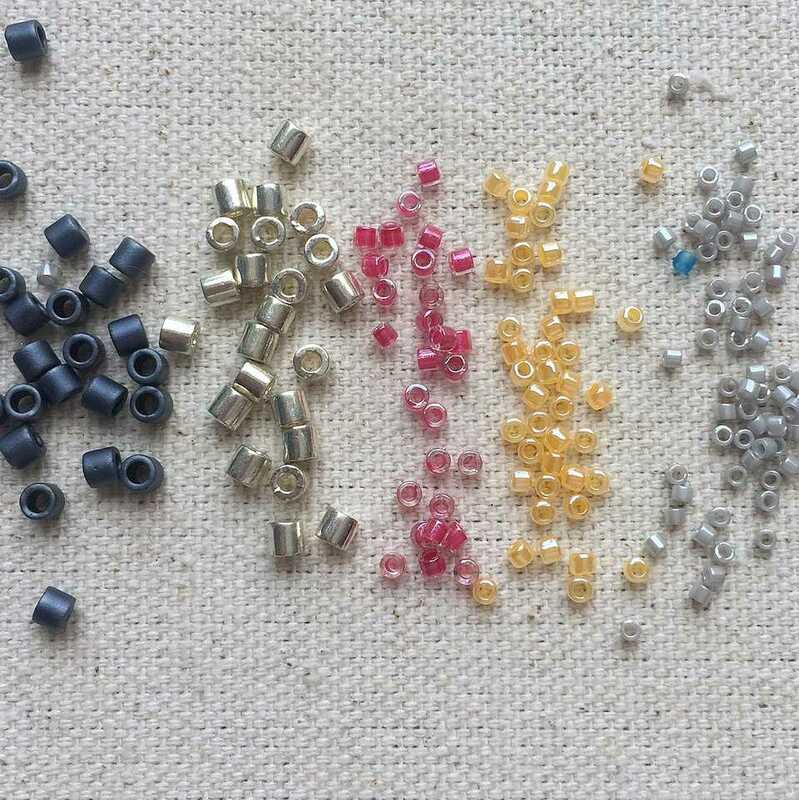 Before you get started, be aware that Seed bead sizes can vary widely, depending on the type of seed bead you are using. There are also slight differences in the weight of seed beads depending on the finish of the bead. Metal seed beads will weigh much more than glass seed beads, resulting in fewer beads per gram than glass beads. Always buy more seed beads than you think you will need. There are lots of creative ways to use up leftover beads. There are several tables below to help you calculate the number of seed beads you need. The first table indicates how many seed beads are in a gram of beads of each size. Use this table to figure out how many grams of seed beads you will need when a project indicates the number of seed beads you need. For example, the pattern calls for 1,200 size 11 cylinder beads, you will need more around 6.5 grams. This is calculated by taking the total beads and diving it by the beads per gram. You can also use this chart when you are working on a project where you can figure out the total number of beads needed by calculating the number of beads in each row and the number of rows that will be in the finished project. The second table indicates the number of beads of each size in a one-inch strand or one centimeter. A table like this is helpful for stringing where you know the length of the project - for example, if it is a 24-inch strand, you can multiple 18 beads per inch by 24 and then multiply it by the number of strands you will need. If you are doing loomwork, square stitch, Ndebele (herringbone) stitch or any other tight stitch that results in a cloth-like swatch of beaded fabric, you can use the last table to figure out the approximate number of beads per square inch or per square centimeter. Remember that the amounts and measurements given in these tables are only estimates. They were calculated by weighing and measuring opaque black Japanese seed beads and cylinder beads. Always buy more seed beads than you think you will need for a project to avoid running out in the middle of the project. This is especially important since dye lots can vary from lot to lot so there is no guarantee if you buy more at a later date that it will match the original beads you purchased. Why Choose Japanese Cylinder Beads for Your Beadwork?